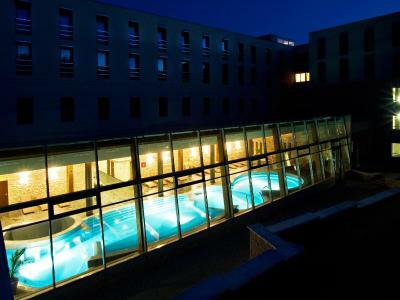 Lock in a great price for Anna Grand Hotel Wine & Vital - rated 8 by recent guests. Staff are friendly, some of them are even nice. Food was very good. A few simple dishes, delicious. Location of the hotel is beautiful, a minute walk to the lake with gorgeous views. The building exterior is impressive, and the grounds are beautiful. The location is very close to the lake. Very comfortable room, lovely grounds and surroundings, beautiful walks, great location, friendly and polite staff, easy access to lake, ferries, shops & restaurants. 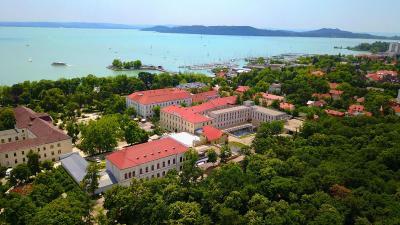 Old hospital changed to a nice hotel in very beautiful part of Balatonfüred. Kind service. Nice spa, great thai-massage, very experienced lady giving It. Beautiful Historic Hotel. Staff were very helpful and great facilities. 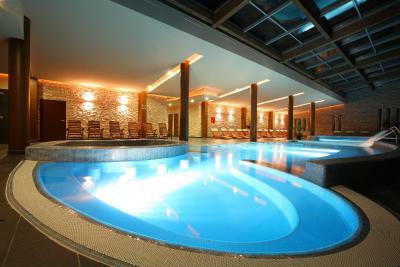 Indoor pool. Near to beach and restaurants. Close to transit - went around lake to Tihany. 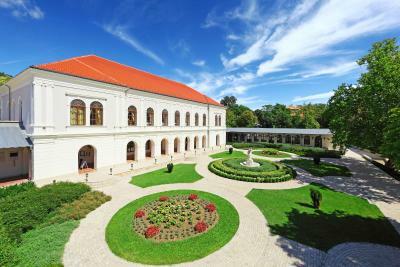 This once was the gem of Balatonfüred, excellent location, nice wellness and overall ambiance at a fair price. The location and wellness remain a great bonus. Breakfast and location , near to the Balaton lake is good . Room is nothing special but acceptabel. One of our top picks in Balatonfüred.The Anna Grand Hotel Wine & Vital is located on the northern shore of Lake Balaton, 100 yards from the Tagore Promenade, in the middle of the historical district of Balatonfüred. Anna Grand Hotel ensures the comfort of its guests with 100 different types and sizes of rooms in a more than 200-year-old Classicist building. 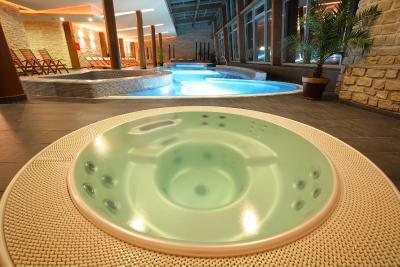 The 1200 m² wellness department awaits you with a swimming pool, a hot tub, a Finnish sauna, an infra-sauna and steam bath. The restaurant is truly a paradise for gourmets, also offering home-made cakes based on recipes from the 19th century, Italian ice-cream, chocolate fondue and classic confectionery products. Make use of the bowling alleys and enjoy treatments in the BioMed cure centre. There is a garage with 150 parking lots at your disposal. Since 1824 the Anna Grand Hotel hosts the elegant and world-famous Anna Ball. 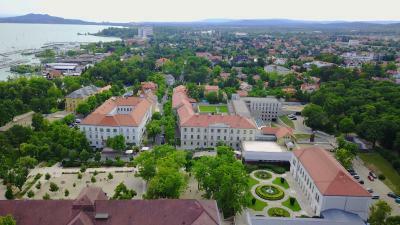 Balatonfüred, one of the bigger towns of the Balaton area, looks back upon a 2000 year-long history and features many historic monuments. Today it is a very popular holiday resort due to its excellent geographical features, medicinal springs and great wines. 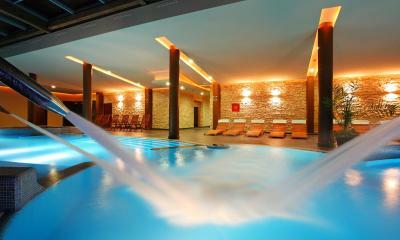 This is our guests' favourite part of Balatonfüred, according to independent reviews. 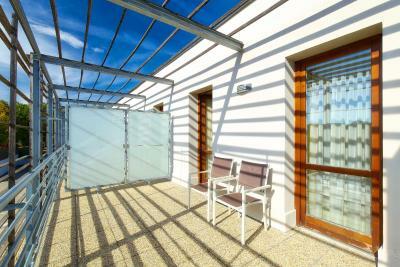 Anna Grand Hotel Wine & Vital has been welcoming Booking.com guests since 10 Feb 2010. 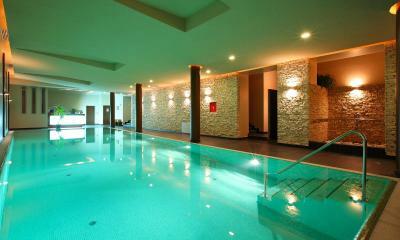 When would you like to stay at Anna Grand Hotel Wine & Vital? 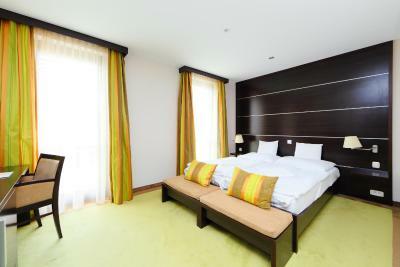 These rooms are spacious and are classically furnished. Bathrooms have a bidet and shower or bathtub. 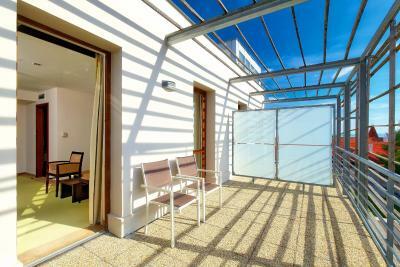 These rooms are furnished in a modern style. The bathroom has a shower. These rooms are classically furnished. Bathrooms have a shower or bathtub. House rules Anna Grand Hotel Wine & Vital takes special requests - add in the next step! 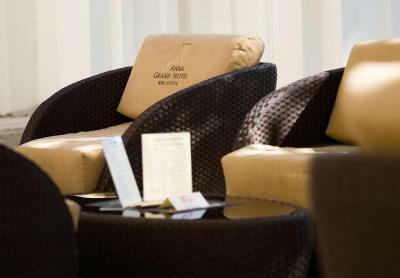 Anna Grand Hotel Wine &amp; Vital accepts these cards and reserves the right to temporarily hold an amount prior to arrival. Anna Grand Hotel Wine & Vital accepts these cards and reserves the right to temporarily hold an amount prior to arrival. This is not a four star hotel at all. We were very disappointed as we knew they hold balls here every year and it’s a “grand” hotel so we expected patina and something very nice. Turns out grand only appears to reference its size... Bathroom had some suspicious stains- yikes. And a broken tap. Broken bedside table - items slip down on it. Way too hot in room and aircon doesn’t work. No products in the bathroom other than very basic hand soap. Not really what you’d expect from a spa hotel. The place is huge and our room was very far away from reception - it was fine with us but be prepared for a little hike. Housekeeping knocked on our door at 8:20 to ask if we require cleaning. Isn’t that normal service to do by default? Shower cubicle is absolutely tiny and the shower head is blocked with limescale. I would be happy to give them a few tips about how to clean it. “Secure” car park barrier was up the whole time we were there. Looked like someone drove into it. No discount for parking though.... they don’t provide info in advance of where the parking is but I’ve attached it for your reference - makes things much easier. They charge for playing pool which, again, is extremely disappointing from a supposedly 4 star place. The spa bit may be good but we haven’t been. Overall a disappointment but wasn’t a total disaster. Don’t recommend and wouldn’t return. Our room :( The darkest bathroom with the smallest shower cabin i ve ever seen with cheap enclosure.Very noisy bathroom fan. No space beetween the bed and the wall.Only one bedside table in a double room.Stains on the carpet.Food was quite disappointing as well.We paid for half board it was a very bad idea. Breakfast acceptable but dinner is forgettable every meat is dry, desserts are like a piece of plastic ,colorful and the taste is just terrible. Wellness was beautiful,clean it seemed totally new . The staff of the breakfast room was rude. When my English husband asked for glasses the lady answered rudely in Hungarian, assuming he couldn't understand what she has just said. The swimming pool area is dangerous, the tiles are so slippery. The swimming pool is too cold, the other pool is way too hot. There are not enough beds around the pool area. Staff are not very attentive and many have 'attitudes' when perfectly normal requests are made. The breakfast room offered alternative milk. Our shower was broken (the sink from the outside, no leakage) the toilet wasn't very clean when we checked in - I know this happens. There was no body loation or shampoo or conditioner, I would expect that in a 4-star hotel. The bed was a twin bed pushed together, which is fine, but the mattresses were not the same. My partner's mattress was extremely uncomfortable, there was hole in the middle. My mattress was all right, but again...I would expect better quality in a 4-star property. Meals were good, the location is great. The building itself has a history and the staff is nice. The building seems to have been renovated cheaply 10 years ago, and with heavy use since then, it really shows. The materials are quite chipped and scuffed everywhere, and things like carpet never really look clean. Parts smell musty, even though it seems things are cleaned carefully. The room layout is odd, and amenities a bit lacking. The layout of the whole hotel is extremely odd. The food in the breakfast / restaurant is not very good - certainly not what would be expected at a supposedly 4 star hotel. The cafe is nice, though. It’s a huge list, wouldn’t want to even start about it. In short, will never stay here again and will advise so to all my friends n family who decide to visit Balatonfured. The rooms were dark, the upholstery of the chairs was dirty, the carpets throughout the the whole hotel need to be changed.The walls could also do with redecorating. The athmosphere of this old hotel is lovely, the staff is exceptionslly kind, the food is delicious The hotel is located in a superb , historical place, almost every pebble has an old story to tell. A bit of a walk to the outside dining room, but not a problem. 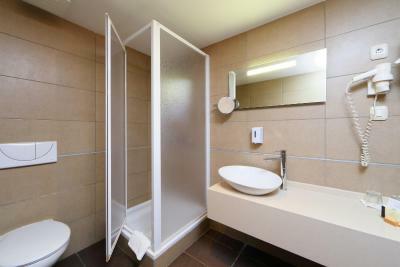 The level of dinner or breakfast buffet did not match the level of hotel, and some repair work should be done in spa (women showers) and rooms in the modern part of the hotel. Ac not working. No soap in toilet. Hanger for toilet paper not exsiting. Room was not cleaned for second night. No bed madrass to sleep on...sheets directly on base madrass. Defintively not a 4 star hotel....maybe 2 star level.